Great opportunity to get into The Melting Pot franchise system with a successful established restaurant. Established in 1995, this restaurant is in excellent shape with everything working well. Full remodel in 2013 including all art, painting and upholstery. This restaurant seats a total of 151 guestsand is in an ideal location to be taken over by a new motivated owner. Seller will be paying the transfer fee. The restaurant has rolling 12 months sales of 1.2Million. There is a loyal client base and excellent staff members in place. Costs to open a new restaurant location are approximately $1-$2 million dollars, which makes this a perfect opportunity to join The Melting Pot network and benefit from established business. Further financial information is available on application by submitting the form below. Please do not contact the restaurant direct. 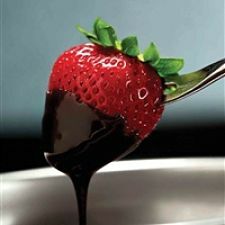 The Melting Pot is the world’s premier franchise fondue restaurant system based in Tampa, FL. The Melting Pot offers a truly unique Fondue dining experience. In 2015, The Melting Pot was named the #1 Casual Dining Restaurant in America by consumers in Nation’s Restaurant News annual Consumer Picks Survey. For more than four decades, The Melting Pot has defined the fondue experience niche across the American dining scene and now looks forward to continued domestic success as well as continued international expansion. For 40 years, The Melting Pot® has been North America’s premier fondue restaurant. 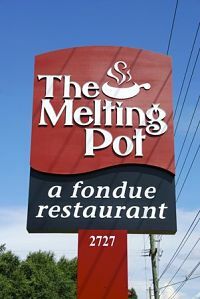 The Melting Pot is an easy-to-operate franchise with little to no competition within the fondue niche. As a full-service restaurant, The Melting Pot delivers a one-of-a-kind dining experience built around the celebration of food and special life moments. It provides franchisees with the opportunity to host these moments, provide exceptional food and atmosphere and be their own bosses in a unique market that continues to grow and thrive. 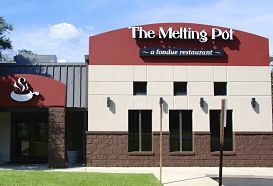 Today, with more than 125 locations in 35 states, Canada, Mexico, Indonesia and the Middle East, and more than 15 locations in development worldwide, The Melting Pot Restaurants, Inc., is the world’s premier fondue restaurant franchise. The Melting Pot is an affiliate of Front Burner Brands, a restaurant management company headquartered in Tampa, Fla. I have been a Melting Pot Franchisee for over five years. I opened my first location in Albany NY, and within the following three years, I successfully opened in Poughkeepsie and Syracuse, NY. I would not have been able to do this without Melting Pot's support in all aspects of my business; this is actually the primary reason I continue to grow with the brand. When you become a franchisee, you become part of the Melting Pot family and like all families, they want you to succeed. My continued expansion within the brand was due to their diligent commitment to serve franchisees. Due to their willingness to listen, collaboration with Melting Pot is easy. And while we may not always agree on everything, they have always been willing to explore feedback provided by the franchisees with sound research-based decisions. The core principles and values of The Melting Pot organization matched exactly what I was looking for in a business. I have always been treated fairly and respectfully from everyone at Melting Pot. The home office’s principle of “Family & Belonging” has truly allowed my relationship to go beyond just business and grow into a working family relationship. Having grown up in the restaurant industry, becoming a franchise owner was easy due to the culture and support that exist at the Melting Pot. It has truly changed my life and given me opportunities that I never even realized were possible. Red Bank - New Jersey - $0 SOLD! New Orleans - Louisiana - $0 SOLD!